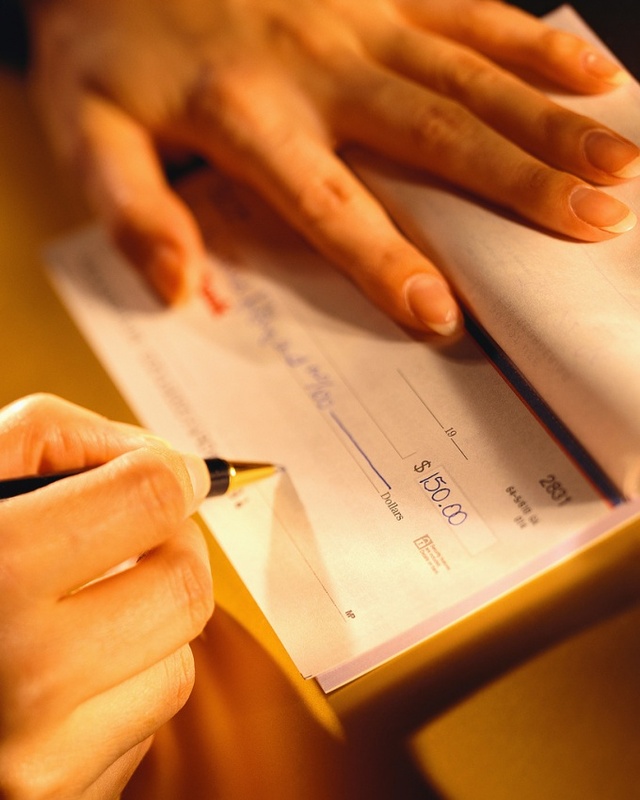 In order to get the money in the Bank for a cheque book - you must correctly complete a check. There are certain rules of filling. Even a small deviation from the rules will not allow you to get the money by check. Requirements of banks to fill the check is much broader than presented in this manual fill on the cheque book. Fill out the check in one step from the hand - handle with the paste, ink black, blue or purple. Do not let mistakes, errors and fixes. All the requisites of form must be preserved, i.e., filling, stacked in the field. You can fill out the check on a typewriter black font. The amount of digits, start writing from the beginning of the line, without dots and without spaces. The remaining free space after writing the amount, draw a line through the two lines. The props write the amount of cents dashes do not. After the word "pay" write in ink or ballpoint pen – surname, name and patronymic. The amount of words start writing from the beginning of the line with a capital letter, lying down in the allotted frame. Between words don't do long distance. The word "rubles" specify the following amount of free space left. After the specified amount of words of free space draw a line through the two lines. Lines should not cross out the letters top row. Signature check the appropriate signatures samples to the Bank card. Don't go for the marked frames, stacked in the appropriate boxes. In a special place to put your print. It must fit within the designated frame to be sharp. The seal should correspond to the sample in the map Bank. If you presented a Bank sign and stamp that the print you are not rated, then the check is accepted by the Bank without printing. On the reverse side of the check - sum figures separate from the amount of cents with dash. Specify the passport data and the passport issued. If you did check the amendments, the Bank won't accept it. You will have to complete another check. The check stubs also need to be filled. Spoiled cheques and stubs – keep for 3 years. When closing an account at the Bank will return the cheque book with unused cheques. The statement about closing the account, indicate the number unused and returned checks. The company can withdraw money from your Bank account through a checkbook. It can be obtained at the Bank that performs cash management services organization, which initially shall fill in a statement. Contact your Bank and get to fill the blank of the appeal-a request for registration of the checkbook form number 896. This document can also be downloaded online on the website of any financial organization. Check with the employees of the Bank, what are the details of the company required to specify in the application which need to print and someone should put a signature on the application. Also find out how long the Bank will consider your request. Complete the application form. It indicates the full name of the company and the date the form was completed. The text of the statement consists of a request to issue the company a certain number of checkbooks. Specify which checkbook you need (checking, cash, a limited or unlimited) and how much. Complete the paragraph with the number of pages. It could be a number of 25 or 50 depending on the needs of the company. Next, enter the employee's data entrusted to the Bank in the checkbook, as a rule, the chief accountant of the company. Ascertain his signature and passport details. Sign the statement signature and seal of the head company. Submit your completed statement to the Bank for consideration. Remember that it is valid for 10 days, so don't hold your checkbook registration. After the cheque book is issued, ask the employee of the Bank, which placed a limit on withdrawal of funds without notice. Each Bank sets this limit individually. After the checkbook runs out, it is necessary to obtain the new re-application and payment of a fee. 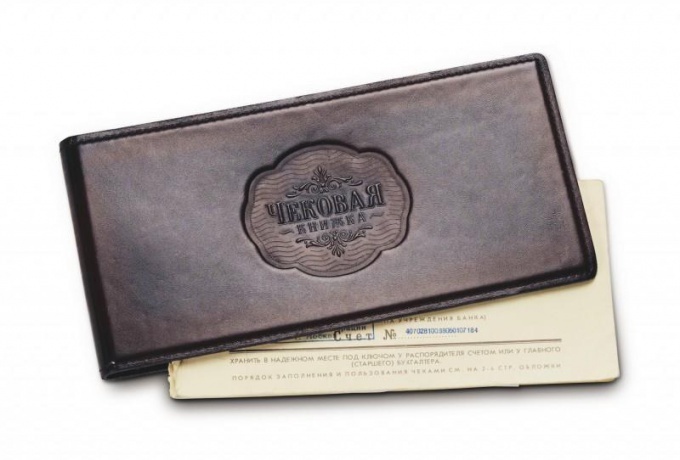 In Russia checkbook have a fairly limited distribution. They are used only by legal entities and individual entrepreneurs. How can organizations draw howl cheque book? - Bank account opened for legal entities or individual entrepreneurs. Open Bank account for your organization. Check beforehand whether to issue him a cheque book. After you open an account write an application for the issue of books for your organization. This can be done with your Bank, but not in each - usually financial institutions allocate special staff to work with legal entities and individual entrepreneurs, and these specialists work in all branches. Find out where you can get this service through the call center of the Bank. In the statement, specify the details of your organization, as well as information about your typing, which will be authenticated with receipts. Check out a checkbook. It depends on the Bank. This can be done in cash or by Bank transfer through your Bank account. After analyzing your application will receive the very book in one of the branches of the Bank. You will then be able to use it for calculations. Learn how to use this type of payment document. In different banks may differ. For example, it may be different the maximum amount that you can withdraw a single cheque. In the case that you will need to pay more money for one payment document, the Bank will need to additionally be warned about this. 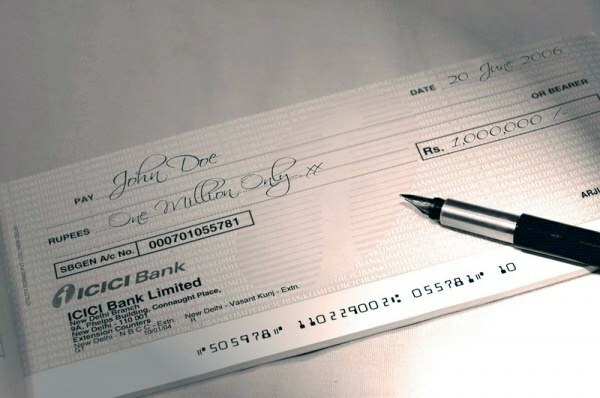 There are General rules for use of cheques of all banks. write checks only those employees of the organization, whose signatures appear on a special registration card of the Bank as of the persons entitled to writing checks. When changing such employees or seal of the organization need to inform the Bank. After receiving the books follow the safety requirements when using it. She should be kept in the chief accountant in closing the safe.